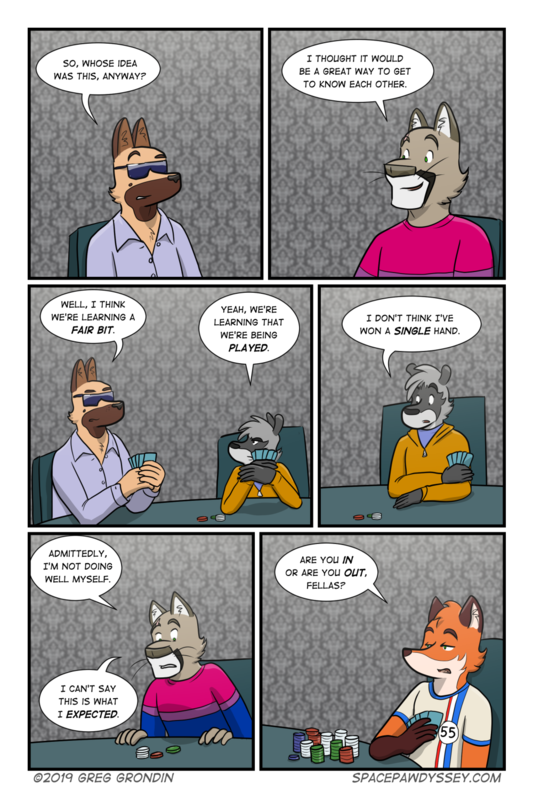 Support Space Pawdyssey on Patreon! Thanks folks! We also had over 1,300 unique visitors to the website in August! Today’s comic will be late. The long weekend threw me off and I forgot to queue it up for a post this morning. It will be online this eve when I get back from the office! Hey folks! Looks like I forgot to post Friday’s comic. Needless to say something came up in my personal life that left me really out of sorts for a couple of days and I forgot to post it. Sorry! Enjoy pages 198 and 199 today! 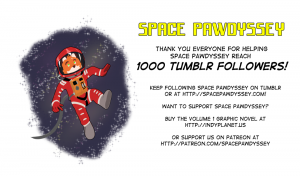 For anyone looking to purchase Space Pawdyssey Volume 1, it just went live today on Indyplanet! I’ve been having some issues with comic comments. In short, I’ve been getting flooded with spam from various sources making it very difficult to to find valid comments. I usually get notification of a new “valid” comment but if I miss approving yours, that would be why. Worse, because some of these spam comments are incredibly lengthy or contain lengthy links, WordPress fails when you try to do a bulk remove. It’s a pain and it’s pretty crummy. I’m going to look into comment related plugins but for now – I can only apologize if you comment goes unnoticed or gets deleted by accident.